Scott Arnold has called AutoNation's service-oriented branding program "a spider with many legs." "This is a natural extension of everything we're doing in the marketplace," he said. Over the past few years, AutoNation has been working on a brand extension initiative that includes attaching the AutoNation name to all of retailer's nonluxury stores and launching AutoNation auctions, standalone used-car stores and collision centers, and branded parts, accessories and F&I products. 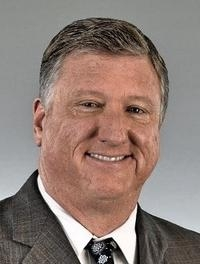 Last year, Arnold, 60, was named executive vice president of customer care and brand extensions, executing AutoNation's brand extension plans for parts, accessories and collision. Arnold has been with AutoNation for more than 15 years. The retailer has launched its own line of maintenance and repair parts, such as batteries, wiper blades and chemicals used by service departments. Each has a margin of more than 40 percent, Arnold told Automotive News last year. AutoNation, under Arnold's leadership, also has rolled out Auto Gear, a line of accessories such as floor mats and liners. AutoGear comprises more than 50 products from more than 20 vendors, Arnold said. The group has opened AutoGear centers inside 100 AutoNation dealerships. AutoNation says it has become the fifth-largest provider of collision repairs in the country. It now owns and operates 82 AutoNation collision centers nationwide. Dealers rarely participate in the collision business, but "I think we understand it better," Arnold said. "We broke out all our collision centers [from the dealerships] so we could manage that business directly and straightforwardly and be able to talk to the insurance companies with one voice."